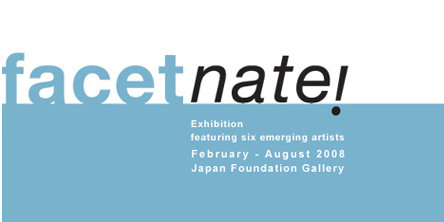 We are currently taking part in facetnate!, the Japan Foundation’s New Visual Artists Project, a 6 month series of back to back solo exhibitions by 6 emerging Australian artists influenced by Japan in their art practice. A facetnate! Match Box Gallery presenting works by all partaking will be exhibited at the gallery throughout the program.